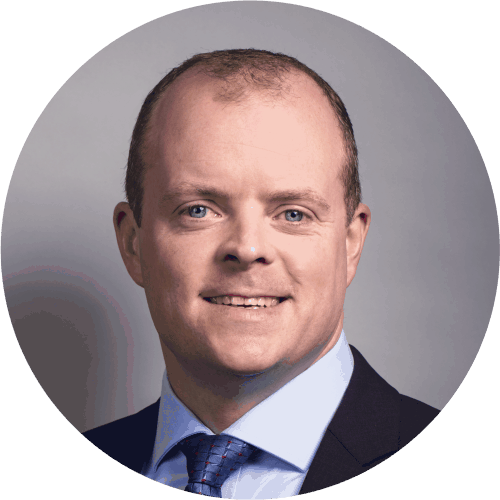 Cillian is Head of our Corporate team and advises clients on transactions in and investments through Ireland. He advises many leading Irish and international companies on mergers and acquisitions and equity investments. Cillian advises on a broad range of corporate and commercial transactions including foreign direct investment (FDI), buying and selling businesses, M&A, restructuring businesses, asset and share sales and purchases, joint ventures, partnership agreements and structuring of professional partnerships. He advises start-up and emerging high-growth companies on investment agreements with angel investors, venture capital investors and Enterprise Ireland investment agreements, loan notes, shareholders’ agreements and commercial contracts. Cillian advises on corporate governance, including directors’ duties and corporate compliance matters, and on company and director obligations under Company Law, fiduciary duties, disputes between directors, minority oppression actions and shareholder disputes. He advises on information technology contracts and online sales, website terms and conditions of sale, software development and software licensing, franchising, agency, distribution, intellectual property, B2B (business to business) and B2C (business to consumer) contracts, non-disclosure agreements and bespoke commercial agreements. Cillian’s regulatory experience involves the provision of advices in relation to the Immigrant Investor Programme (IIP), Central Bank applications (bureau de change, moneylending, pawnbroking) and higher education – Protection of Enrolled Learners (PEL). Cillian obtained a Bachelor of Business Studies degree from the University of Limerick in 1998. Cillian was admitted to the Roll of Solicitors in Ireland in 2005 and admitted to the Roll of Solicitors in England and Wales in 2010. Cillian obtained a Diploma in Commercial Law from the Law Society of Ireland in 2006 and a Diploma in Corporate Law and Corporate Governance from the Law Society of Ireland in 2009. Cillian obtained a Diploma in Notarial Law and Practice from the Faculty of Notaries Public in Ireland in 2017. Cillian is recommended by international legal journals such as The Legal 500 EMEA.